Potatoes and green leaves often end up in the bin, says Airfield’s Grainne Kelliher. WE GET IT, YOUR LIFE can get busy sometimes during the week and with the best of intentions, items like chicken fillets and potatoes can sometimes end up going in your bin rather than on your plate. But as a nation, it’s estimated that we create around one million tonnes of food waste each year. According to The Irish Times, this amounts to about €700 million worth of nutritious, edible food that ends up in Irish bins. So, what can we do to avoid this happening? Food waste starts in our trolleys so it’s important we start there, says Grainne Kelliher, the CEO of Airfield Estate – an urban farm in Dublin that’s hoping to give us a better understanding of the food we eat and the impact of our food choices. Here she shares some simple changes we can make to reduce our food waste. Another huge culprit? Not looking around your house before you do a ‘big shop’, says Kelliher: “People sometimes don’t look around the house to see what they have”, which can again lead to having more of the same item than you can possibly get through before it goes off. Before you set off, it’s worth investing a few minutes to make a list says Kelliher: “It keeps you on the straight and narrow and from buying unplanned items that you won’t actually use.” Kelliher also reminds that you’ll find great quality and value with local suppliers in the likes of farmers markets and butchers – and you get to ‘meet the makers’ which is a real bonus. High demand for so-called superfoods like avocado can put pressure on the geographic location where they are grown, which can be devastating to the country’s own supply and result in deforestation. Especially if you tend to shop for the week at once, it can be very hard to buy exactly the right amount of food, but Kelliher says you can salvage this by either cooking it off or throwing it in the freezer if you find you don’t get a chance to cook one particular evening. We need to think about is do we need to buy as much meat as we do? Think about portion size and what our bodies require and consider alternatives like beans, peas, pulses and eggs, at least on some days. 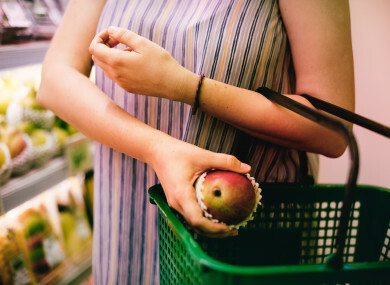 In our research, when it comes to how people choose their food, price tends to take priority, followed by health. When convenience is the priority, the food you buy tends to be more pricey and processed. Speaking of research, Kelliher had a calculation of her own that changed the way she thought about shopping. When considering pre-sliced chicken, she found that the price tended to be between €14 per kilo and €33 per kilo, depending on whether you opted for branded or unbranded. That choice for me is better for people, the planet and your pocket – which is the best value at the end of the day. The taste is way better, you know where it was reared and it’s cheaper per kilo. Recently, Kelliher was in the supermarket and picked up two almost identical punnets of mushrooms – both from the exact same supplier and both priced at €1. However when she looked at the weight, she found the difference was 170g and 250g – making it an obvious choice for which was better value. “I think what people miss sometimes is checking the price per kilo which is usually down in the bottom right hand corner of the price display”, says Kelliher. She says that it’s particularly worth checking on items with a long-ish shelf-life such as cheese. Look at the items that you’re spending a lot of money on, maybe it’s animal protein. Do you need to eat meat 7 days a week or could you replace it with something cheaper like chickpeas or lentils? The consumer has huge power in terms of influencing what’s on the shelves – the retailer will only put out what they’ll actually buy so make it work for you and your family. Airfield Estate is a non-for-profit organisation which seeks to help inspire and enable people to make better food choices. Open daily for people to visit, there’s a working farm, gardens, heritage centre and farm to fork restaurant. Here you can found out more about their activities and what’s on offer. Email “8 smart changes to make to your weekly shop, according to an expert”. Feedback on “8 smart changes to make to your weekly shop, according to an expert”.